Home>Music> What Does "Selling Out" Mean In The Digital Age? Can today's artists still sell out? Hip hop is the pulse of pop culture. Much like the rose that grew from concrete, hip hop has blossomed into a reflection of social change. Its roots permeate society far beyond the realm of music, reaching down to the very foundations of language, fashion, and social norms. Its words and messages have seeped into the mainstream, its rumbling baselines emanating from speakers and radio stations worldwide. Hip hop stars like Lil Wayne, 50 Cent, Kanye West and Kid Cudi transformed themselves into the first modern-day rock stars. They stand as generational figures who foresaw the future direction of music and helped raise the growing youth movement. Hip hop triggered the greatest evolution in American music. These changes have brought with them a number of questions, namely when it comes to issues of cultural appropriation and separating the art from the artist. One of the most noticeable changes has been the emergence of corporate sponsorship as a validating force within the music industry. In the 90s, making corporate partnership beneficial was a tightrope walk for artists. Even the slightest involvement from outside parties looking to make a quick buck had the power to vaporize an artist’s good public standing and image. Corporate involvement was largely pitted against the human connection, leading to anxiety over the marriage of art and commerce and creating a complicated relationship between commercial success and musical identity. “Sellout” took on a pejorative and anti-corporate connotation, as fans became increasingly paranoid about loyalty. Once late capitalism took hold, the relationship between the artist and the patron became progressively unnatural, heightening the sense of betrayal felt by fans. Endorsing products at the expense of the art itself was viewed as the ultimate sin. Hip hop’s place in this conundrum has been fraught with danger at every turn, particularly given that it’s a genre that has always prided itself on authenticity. Making something out of nothing is championed as the backbone of hip hop. But when selling out takes precedence over one’s values and begins to compromise the integrity of the music, then public condemnation is to be expected. For savvy trendsetters like Run-D.M.C., who earned their Adidas stripes with a sponsorship that felt authentic, corporate involvement proved to be a brilliant masterplan. It wasn’t just a cheap paid promo; the group’s genuine love of the old basketball Superstar shoe resulted in an endorsement that took the street look mainstream. The mutual agreement resulted in a then-unprecedented $1 million deal. Run-D.M.C. and Adidas cemented a legacy and broke boundaries in the process. 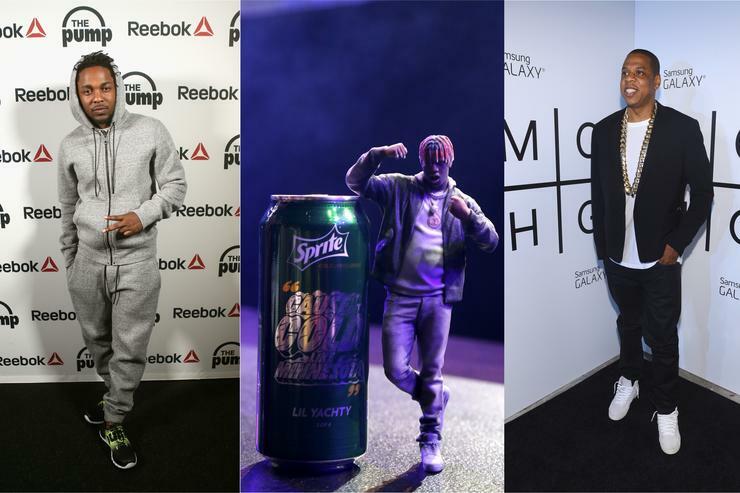 It forced sportswear brands to acknowledge street culture as a viable market, and in turn, hip hop began to embrace the boundless possibilities, and profits, within the new corporate-run world. As the music industry has evolved to incorporate new methods of consumption, selling out in the traditional sense of the phrase has become commonplace. It’s an obsolete accusation that doesn’t mean what it used to because it’s entirely bereft of its original meaning. As the entrepreneurial hedge maze has thickened, the ethics of "selling out" have grown more convoluted. It's become an essential aspect of artisthood and growth-- whether for personal or financial reasons, or both. For any artist looking to carve out a living in the expanding digital age, corporate sponsorship isn’t simply another source of income; it's a necessity. Over the course of the past ten years, traditional album sales, once a reliable revenue stream, have faded into near nonexistence, paving the way for transactional and impersonal streaming services. This rapid decline in physical album sales has produced a new big three: touring, merchandise, and advertising. Although touring has long been the most lucrative form of making money, it’s now complemented by the emergence of the latter two as valuable pieces of the puzzle when it comes to generating both ticket and album sales. Supplementing income is imperative because the ways that artists get paid has irrevocably changed; there is little money to be made strictly from music, which now functions as just another weapon in an artist’s product arsenal. Even artists who lack the backing of a major record label have come to realize the vital importance of corporate ties as a means of gaining recognition and cashing in on a sizable paycheck. Not only is it another source of revenue, but it can help keep an artist’s name in the headlines, aid them in cracking the charts, and expand their brand beyond music. Artists are now encouraged to think of themselves as brands above all else. They’re expected to be venture capitalists, and many have eagerly filled their new roles as leaders of the consumable world, even if we don't think of these artists as outright "corporate," perhaps because of what their music or persona entails: Kendrick Lamar can capitalize on his righteous political rebel image to sell Reeboks meant to quell gang strife between Bloods and Crips; Lil Yachty can use his quirky auto-tuned croon to generate sales for Sprite; Chance The Rapper can pop up at your local convenience store and pitch Kit Kat bars; and Travis Scott can curate the soundtrack for, and be marketed as, one of the faces of NBA 2k19. Of course, corporate sponsorship can go awry if not carefully executed. Jay-Z’s Magna Carta…Holy Grail was initially released through a data-collecting Samsung app. The distribution model stirred up plenty of controversy, with Billboard electing not to count downloads from the app as sales, and the RIAA stating that the downloads would factor into their own counts to determine gold and platinum certification. A year later at a 2014 Apple product launch, U2 implanted their Songs of Innocence album into the iTunes libraries of half a billion Apple customers without their consent, creating a colossal uproar (Drake and Spotify recently employed a similarly queasy promotional approach following the release of Scorpion in June). While Jay-Z and U2 used their respective albums to rewrite the rules of the game by partnering with massive corporations, it should come as no surprise that both endeavors weren't particularly well-received by fans. In the age of digital dislocation, the rich get richer, but at what cost? "Just rapping is not really that impressive anymore," Drake said in a 2015 promotional spot for Sprite. "There just has to be more. You have to be a multi-layered artist." There is truth to Drake’s words: an artist’s job is to sell their brand through whatever means are at their disposal. And although branding partnerships and licensing deals increasingly seem like a necessary evil in order to turn a profit, it’s a slippery slope for all parties involved. Listeners and artists alike need to remain vigilant so that music’s humanity doesn’t get lost in enticing dollar signs. The primary purpose of music should never be to help sell another product. Marketing goods to the widest demographic possible has no place in music, and as much as advertising would have consumers believe that it’s altruistic, it’s never been for the benefit of the culture. There is also the valid fear that music will become bland and less adventurous as artists look to secure hefty endorsements. Artists are the salesmen and women expected to deliver safe, surefire winning pitches while corporations pull the strings behind the scenes. It’s a relationship that has the potential to turn music’s most compelling and influential voices into morally bankrupt hypocrites. As the musical landscape continues to evolve, the listener’s role in this power balance will no doubt become even more complex. Telling skeptics not to care is a dangerous premise, and one that is sure to heighten tensions as listeners attempt to decipher their disparate roles as humans and consumers. MUSIC What Does "Selling Out" Mean In The Digital Age?